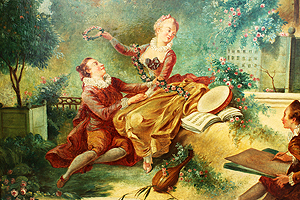 A Large French 19th Century Oil on Canvas (Laid down on a masonite) "Les progrès de l'amour dans le cœur d'une jeune fille" The Progress of Love: The Lover Crowned, after Jean-Honoré Fragonard (French, 1732-1806). 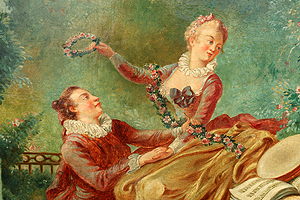 The original work of this subject by Fragonard was painted for the Château du Barry. 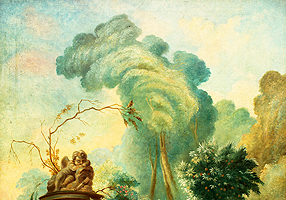 It depicts a young couple sitting in a lush overgrown garden with a sculpture of a sleepy cupid behind them, the girl holding a floral wreath above the young man's head while a sketching artists draws them to one side. 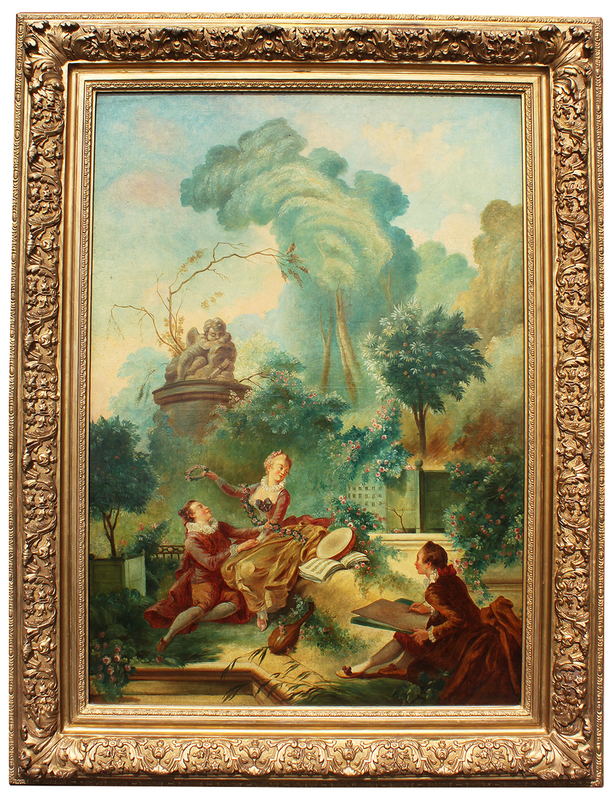 (The canvas has been professionally cleaned). 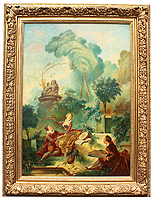 Within an ornate gilt and gesso frame. Unsigned. Circa: 1880.